Normally, when we talk about an Android-powered system, we would venture into the realm of smartphones and tablets, and very rarely (if ever) into the world of digital cameras. The line is about to be blurred this day, as the Nikon Coolpix S800c was just announced to come with a copy of the Android operating system – Android 2.3 Gingerbread, to be exact. Yes sir, how does this digital camera shape up in the face of a mobile operating system running in the background? Well, we shall have to take a closer look at its machinations and inner workings right after the jump, shall we not? For starters, with Android running on the Nikon Coolpix S800c, you might actually feel that you are using a smartphone at times – until you realize that you are unable to make any phone calls or receive text messages. Good thing it has Wi-Fi connectivity built in though, as it would not be much of an Android device if there were not Internet connectivity to make it interactive. Setting up the camera for Internet connection using operations which are similar to those used by Android smartphones is possible, not to mention easy. You are also able to post whatever you have snapped and recorded onto social networking sites like Google+, Facebook, and Twitter in a jiffy, but make sure you are within the vicinity of a Wi-Fi network, otherwise it would all amount to nought. Not only that, the Nikon Coolpix S800c has a new feature known as “Upload to Smart Device”, where this app can be used to transfer high-resolution photos and movies to smart devices which are powered by the Android or iOS operating system, again, over a wireless connection. 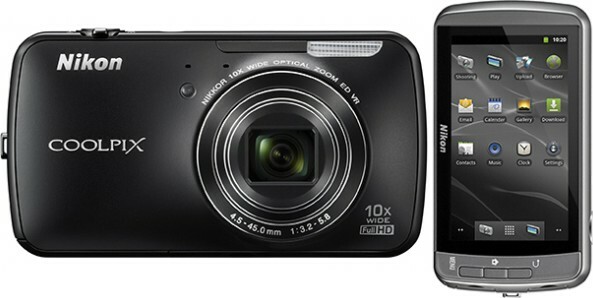 As for the performance of the Nikon Coolpix S800c, what kind of camera specifications does it pack? We do know it will come equipped with a 10x optical zoom NIKKOR lens, in addition to a built-in lens-shift vibration reduction (VR) function. There is also a backside illumination CMOS sensor that boasts of an effective pixel count of 16-megapixels so that you can shoot images with little noise at the high sensitivities – perfect for low light conditions or night landscapes. You are also able to record 1920 x 1080p/30-fps full-HD movies with stereo sound, and the included high-performance GPS module is able to record your current position (latitude and longitude) information, applying them to photos and movies as they are recorded.